1. The spectrum of the light emitted by incandescent gases is not continuous, but is made up of a number of bright lines whose position in the spectrum is very definite, and which are characteristic of the elements which produce them. 2. 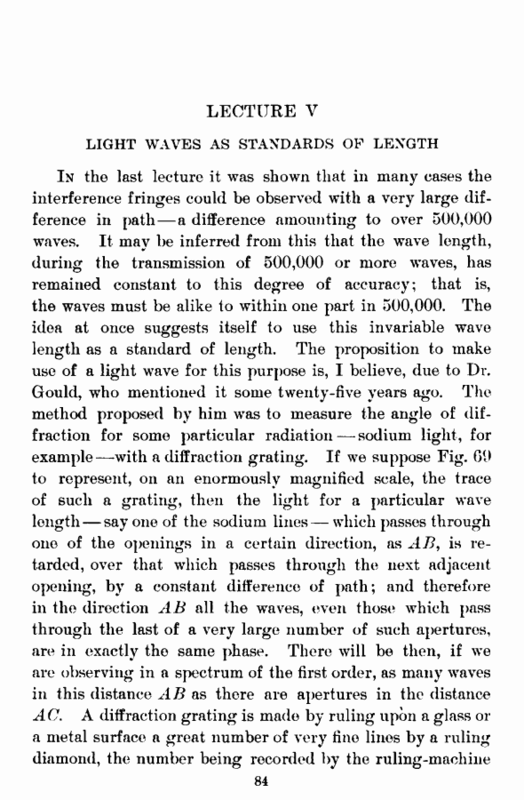 These “lines” are not such in a mathematical sense, but have an appreciable width and a varying distribution of light, and in some cases are highly complex. 3. This variation in distribution is, however, restricted to such narrow limits that in most cases it is impossible to investigate it by the best spectroscopes; but by the method of visibility curves the lines may be resolved into their elements. 4. 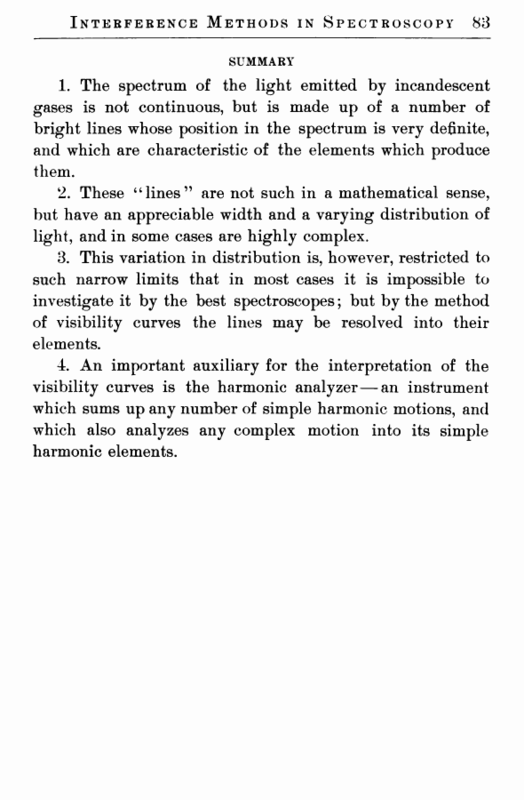 An important auxiliary for the interpretation of the visibility curves is the harmonic analyzer—an instrument which sums up any number of simple harmonic motions, and which also analyzes any complex motion into its simple harmonic elements.